ULTRAMAX® Mini Ultrasonic Polishing System allows you to polish ribs, slots and intricate details far faster than by hand. Take a rough milled surface to a mirror finish using diamond tools and ceramic stones. Includes a compact ultrasonic handpiece with an infinitely variable stroke length of 3-40μm, 36 watts output power, 20-30kHz oscillation frequency and a complete accessories kit (see below). The attractive price for the ULTRAMAX® Mini Polisher makes it a practical ultrasonic polishing system for occasional mold polishing. 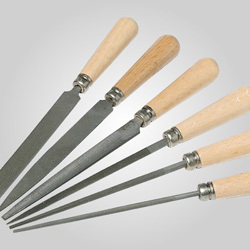 Adjust the dial to select the ideal stroke length for your application. Portability in your shop is simple with the folding carrying handle mounted on a sturdy metal housing which protects the electronics and provides years of continuous use. Backed by a one year manufacturer's warranty. Made in Taiwan. 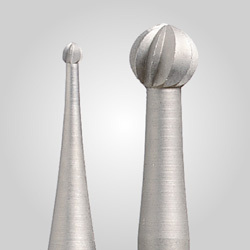 For Jewelry Applications see related products (500-0302). Advanced ultrasonic technology drastically reduces finishing time for increased productivity. 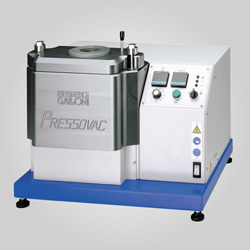 Automatic frequency adjustment provided optimal efficiency for excellent finishing results. Ultrasonic handpiece is interchangeable with Ultramax MF and MF Touch. 4 - Ceramic Stones in various grits. 6 - Diamond Files in various grits.